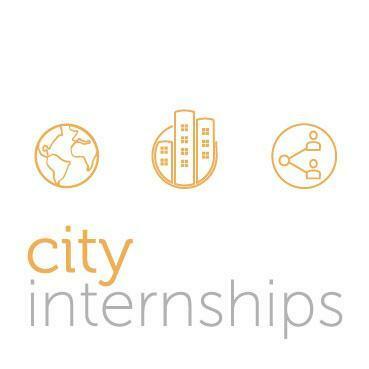 I am reaching out to Deans, faculty and student support staff to raise awareness of City Internships and the soft launch of the application process for our 2018 programs. US: New York, Washington D.C., Boston, Chicago, Miami, San Diego, Los Angeles, San Francisco. Europe: London, Paris, Madrid, Barcelona, Florence, Rome, Zurich. Rest of World: Sydney, Hong Kong, Buenos Aires. Career fields: Banking & Financial services; Consulting & Professional services; Law & Politics; Technology & Engineering; Marketing, Advertising & PR; Media, Entertainment & Journalism; Art, Fashion & Design; Start-ups & Entrepreneurship; Charities, NFPs & NGOs. All programs are open to undergraduate and graduate students. The soft launch provides an opportunity for direct and indirect recipients of this notification to apply to any of our summer 2018 programs ahead of the application process opening publicly next month. For your information, I have provided additional information about CI and our 2018 programs at the foot of this email. I have also provided a link enabling you to manage your membership to this email distribution list should you wish to amend your contact information and/or invite colleagues to join or replace you. i. About CI and our programs. CI is an accelerated learning provider offering immersive, in-person programs that combine practical work experience-based training with cohort-based career workshops and seminars. > One-page overview: Download printable 2018 Notice Board Flyer. > In detail: Review sample 2018 Student Handbook. CI creates globally engaged, career-ready students. Upon college graduation, CI alumni get hired three-times faster and earn 30 percent more than their graduate peers. ii. Educator partnerships. Most students find us on their own. Our newly formed academic partnership initiative invites educators, at a departmental, school or college-wide level, to become part of the conversation and decision-making process when their students engage with CI. Academic partners receive access to student application and outcome reporting, a dedicated point of contact with CI’s Student Experience team to assist with student enquiries and guaranteed application acceptance for their students. > Review our Academic Partnership Guide or schedule a call with our Student Experience team. Please note will be accepting new academic partner requests for the 2017/18 season until Friday 24th November 2017.
iii. Email distribution list management: Our communications to educators provide advanced notice about CI programs for students and recent graduates, including application deadlines and scholarship opportunities. We typically send no more than eight communications to our academic faculty and support staff contacts each year.